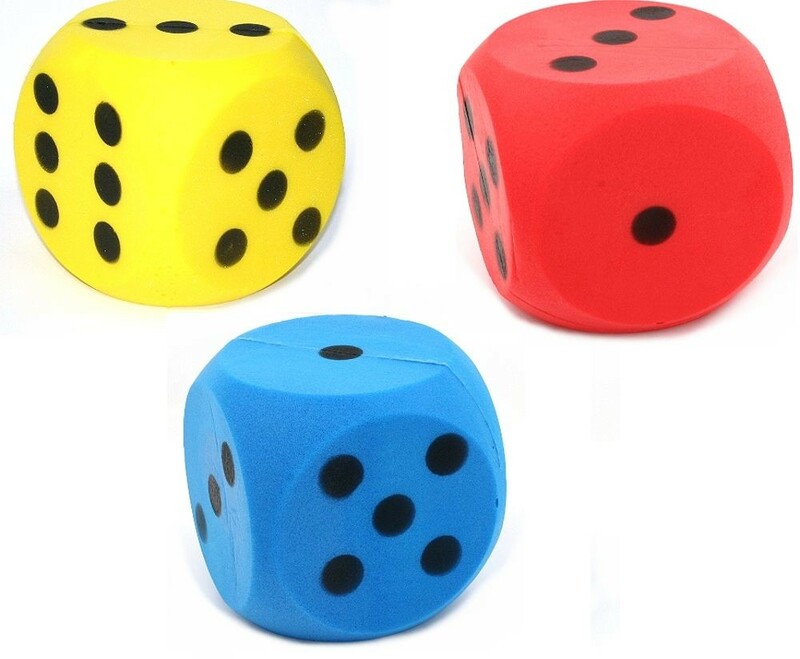 Contains: 3x Giant foam dice, 1xblue, 1x yellow and 1x red coloured. Soft, large foam dice for learning and group games, or just for giants - cube fun in the garden or inside. Made in Italy.